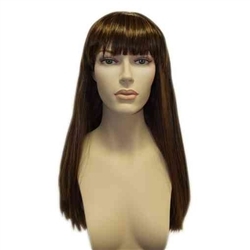 Long hair center part down the back length style cut female wig. Wig comes in Blonde, Dark Blonde, Medium Brown and Dark Brown. Picture shown in Medium Brown.